"To button up one cause of vexation! And unbutton another!" While you’re lighting up the barbecue or getting ready to amble off to the mall, stop to think about the people who made this weekend—and every weekend—possible. Don’t forget that organized religion came up with human sacrifices, while organized labor came up with the five-day work week. looked like someone’s nice grandmother, but that didn’t win him over; neither did her parade of children who marched, somehow, from Pennsylvania to Oyster Bay. A perspective: Thoreau was thirty when he went to jail for a few days in Concord, she was seventy-five and sentenced to a twenty-year stay in the West Virginia state penitentiary (she served 85 days under house arrest before an Indiana legislator started a senate investigation of the coal mine bosses). Who is “The Most Dangerous Woman in America” these days? Not anyone who is interested in reasonable work hours or fair compensation or keeping the lives of our children and workers safe and comfortable. Certainly no one who looks like your friend’s nice grandmother. Spend some time today reading Mother Jones, even if you have to do that online. If you do get to the mall, just “walk on by ” Walmart. At least this weekend. The vex: Not enough people take white-haired women seriously. I am a peripatetic New Yorker, a writer, teacher of writing and literature, social critic, conversant, and provocateur. I take photographs and cook. 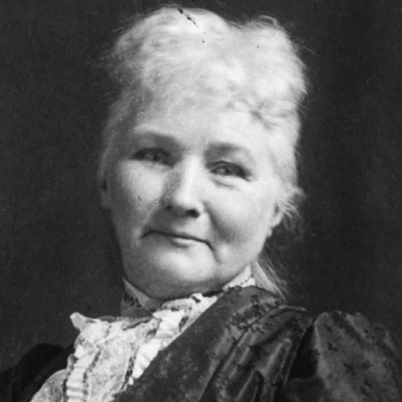 This entry was posted in Opinion, Vexations and tagged Agitation, Labor Day, Labor Unions, Mary Harris Jones, Mother Jones, Organized Religion, The Weekend. Bookmark the permalink.